I found another Bernhard Frank 45 recently. Actually I saw it on Ebay and then had a friend of mine, who regularly buys stuff there, bid on the record for me. Sometimes I look at records on Ebay to check prices and to see what is being offered. But when it comes to buying records I go to thrift-stores and flea-markets. At least there I can see the record up close. From the blurry picture on Ebay this record didn´t look too promising. 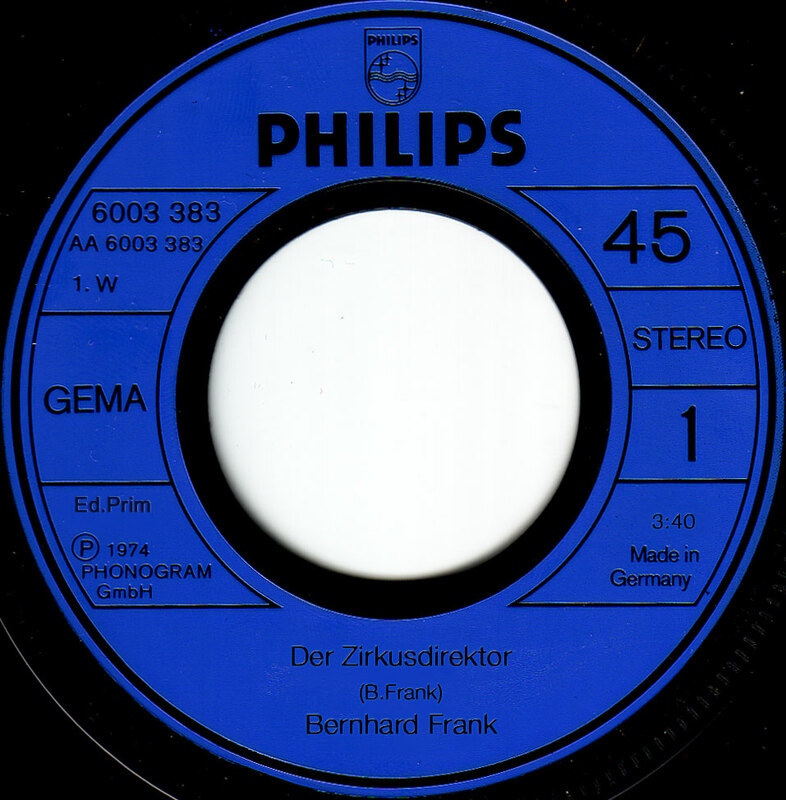 Nothing like the great Beat records Bernhard Frank did in the 60´s but I kept my fingers crossed and took a chance. When the record finally came in the mail I was very happy. 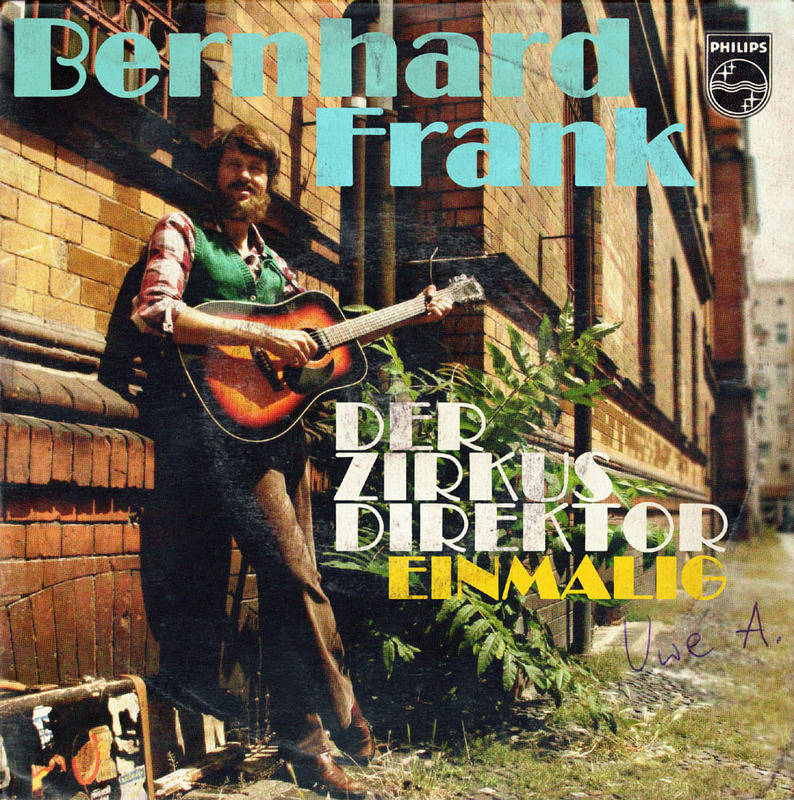 As I´ve written before, Bernhard Frank only wrote good songs. These two songs are no exception. Obviously by the mid-70´s he had developed into a Folk singer. 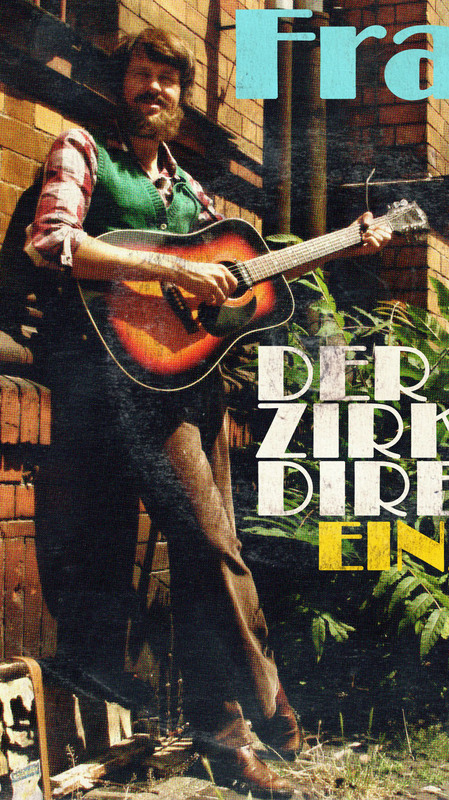 Der Zirkusdirektor is about a ringmaster at a circus, a melancholy tale that takes a rather surprizing turn. The B-side Einmalig is a funny up-beat tune with great lyrics.